GRIST– “Coca-Cola goes green,” announced a 2010 Forbes article. Indeed, the beverages giant maintains partnerships with Big Green groups like Conservation International and World Wildlife Fund. It recently even completed its takeover of Honest Tea, an organic bottled-tea company. It would clearly like to be seen as a paragon of “green capitalism” — the idea that doing good and doing well go hand in hand. Let’s put aside questions over what can possibly be “green” about a business model geared to sucking in huge amounts of drinking water, blasting it with what are probably toxic sweeteners and other dodgy substances, and then packaging it in little aluminum cans and plastic bottles and sending them far and wide, to be chilled (using fossil energy) before consumption. OK, so within those tight constraints, Coca-Cola says it wants to be a “green company.” So … WTF? 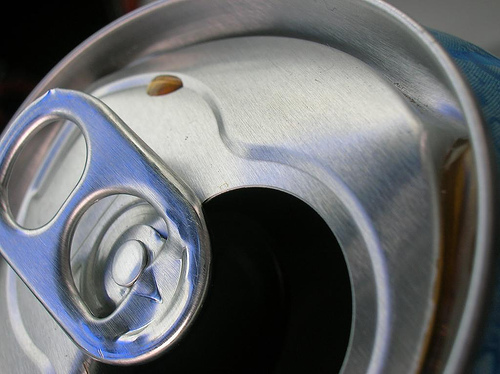 Last week, Coca-Cola shareholders voted by a 3-to-1 margin to continue using BPA, a toxic industrial chemical, in the lining of its soft-drink cans. According to an account in Food Production Daily, a company executive assured shareholders that “if we had any sliver of doubt about the safety of our packaging, we would not continue to use [BPA].” So, we’re supposed to believe that Coke execs have weighed the evidence and found BPA to be safe — and that they will immediately banish it if they decide otherwise.